Fenway Sports Management and the City of Boston are thrilled to announce that one of college football's most storied and tradition-laden rivalries will be played out on the Fenway Park gridiron in 2018. 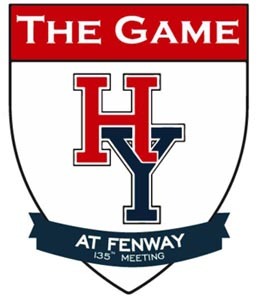 The 135th rendition of Harvard and Yale's football rivalry will be played in front of the 'Green Monster' at the home of the Boston Red Sox on November 17, 2018. The game will also mark the 50th anniversary of the 1968 clash between the two Ivy League schools, which famously ended in a 29-29 tie. Tickets will go on sale Friday, April 27. For accessible seating please call (877) 733-7699.